The Scenic Rim Driving School is a local business dedicated to making sure local people get the best driving instruction at the best possible price. 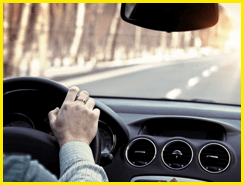 Our instructors specialise in driving lessons for cars only so you can be assured you are getting the highest quality instruction available in the Scenic Rim and Logan City Council areas, including Beaudesert, Jimboomba, Browns Plains, Beenleigh and Boonah. Scenic Rim Driving School employs experienced, patient driving instructors who work with you to get real results. We understand that many people are focused on passing their test first time, and we want that for you too, but we are also about producing tangible results through thorough, safety-based driving lessons. All of our driving lessons and driving classes are geared toward our students, with engaging content and activities to keep you learning from start to finish. Lesson Packages can be tailored to suit your needs, make your driving lessons very affordable and increase your chances of test success. Our lesson packages give you the opportunity to gain in-depth training at your own pace with a qualified driving instructor. 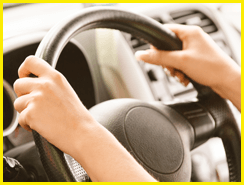 Our driving instructors will teach you how to drive an automatic car, beginning with how to use the automatic gearing. You will come away from your driving lesson feeling comfortable and confident about your ability to drive an automatic car (N.B. : If you attend a driving test in an automatic car, you will not be licensed to drive a manual car). Manual cars may seem hard to drive at first, but once you get the hang of them, they are relatively easy to manage. Our patient driving instructors will work with you until you can competently and confidently change gears under any conditions. We offer a thorough defensive driving course designed to make you think about when and how to react in dangerous situations. Students who undertake our defensive driving course feel more confident at the end of their driving lessons. Please take a look at our defensive driving page to find out more. 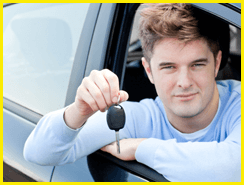 It is often difficult for new drivers to know when they are ready to take a driving test. Let our experienced, patient driving instructors take away the guesswork. Our approach will get you ready for your test and give you a greater chance of passing first time. Please take a look at our Driving Test page to find out more. When you are ready to go for your real test, you can also book a car to use on the day through our Book A Test service. When you take a driving lesson with a Scenic Rim driving instructor, you are investing in your future safety on the road. We make sure you have learnt something new every lesson, and we give you feedback on your progress at the end of each lesson. We are happy to meet any reasonable request, so please contact us today.